In recent years homeopathy has become an increasingly popular type of alternative therapy. We hear about natural remedies with good therapeutic effects and no harmful side effects. But what is homeopathy? What makes the foundation of homeopathic theory and practice? The theories of homeopathy were developed by Samuel Hahnemann (1755-1843) who was a freemason and a physician. He was inspired by the magician Paracelcus (1493-1541) who introduced the statement "similia similibus curentur" which is Latin and means "similar cures similar" (2). The term homeopathy is a derivative of the Greek word homeos (similar) and pathia (disease). The teachings of homeopathy are strongly influenced by eastern philosophy and religion. The view of human nature is consistent with the theories of transcendental meditation and psychic healing. 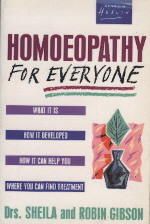 The phenomenon life force is essential in homeopathic theory. Life force is a metaphysic power that permeates the human being and every living creature. This power is manifested as the human aura and is responsible for well-being and health (3). The homeopath Gunvor Ruus writes in the Norwegian nurses' periodical: "When the energy - the life force - gets out of balance, it is manifested in the organism as symptoms. By reason the homeopathic remedies must have a dynamic influence to the life force, so that balance may reestablished" (4). Disease is not viewed as a result of bacteria, virus, poison or environmental factors, but sickness and diseases are considered to be a result of disturbed spiritual balance. George Vithoulkas, author of the book Homeopathy, Medicine for the New Man, writes that it is the "intimate nature" or the "soul" of bacteria and virus that creates disease, that is a dynamic spiritual force (5). For that reason, disease must be treated at a spiritual level, which is the essence of homeopathic therapy. According to homeopathic theory, it is not the chemical substances that cures disease, but the spiritual power called life force. The remedies are prepared to impart spiritual power. According to Hahnemann's theories, intoxication should be treated with the same substance that caused the intoxication, and different symptoms should be treated with remedies that would result in the same symptoms when given to a healthy person. He wanted to use the spriritual power of the substances, but he also wanted to avoid dangerous physical side effects. His theory of potentization says that the spiritual power can be increased through dilution and shaking. Every time the substance is diluted ten times, the solution is shaken. Homeopathic practitioners say that the more a substance is diluted, the stronger the power of the remedy will become. Homeopathic remedies may be diluted to the 30th power (D30) or more. This means that even a million liters of the remedy will not contain one single molecule of the original substance. George Vithoulkas writes in his book that the effect of homeopathy can not be explained by means of chemical mechanisms, but that repeated dilutions release the healing energy of the substance (5). In other words, it is not possible to explain any healing effect of homeopathic therapy without entering the spiritual or supernatural realm. Many homeopathic practitioners consider themselves to be a part of the New Age movement. George Vithoulkas opens his book with a chapter called Coming of the New Age, and his last chapter has the heading Promise for the New Age. In 1936 the homeopath W. H. Schwartz made a speech during an international homeopathic congress where he said: "Indeed, homeopathy is so far-reaching that its universal use in medicine would mean great progress toward the millenium, as homeopathy has to do with not only the physical but spiritual development of man - the homeopathic remedy actually saves souls in this way. It assists in destroying the evils by creating harmony of the physical organs and thus promoting a pure vehicle for intellect and spirit to function. Homeopathy helps to open the higher centers for spiritual and celestial influx" (5). Not every homeopathic practitioner will confess the doctrines of the New Age movement. But the theories and philosophy of homeopathy are in accordance with the teachings of this movement. When nurses and physicians use homeopathy in the public health service, they actually offer their patients the philosophy and spirituality of the New Age movement. Some will say that not all practitioners believe in every aspect of the philosophy, but many organizations like the Norwegian Association for Homeopathic Practitioners actively work to promote the use of Hahnemanns classic (and occult) theories as a foundation for homeopathic treatment (4). Homeopathy has no scientific basis and is totally dependent on a spiritual understanding of man and diseases. Healing effect of homeopathy is unthinkable without the use of spiritual or psychic power. Homeopathy is a way to spiritual power and healing that passes by Jesus Christ and this has no support in the Bible. Samuel Hahnemann's attitude towards Jesus is clearly stated in one of his biographies: "He resisted the dreamer Jesus from Nazareth, who did not lead the selected ones to the right way of wisdom" (1). He also said about Jesus that "he carried the darkness of this world and gave offence to the friends of ethereal wisdom" (1). 1. Pfeifer, Samuel. Helse for enhver pris? Hermon forlag A/S, 3577 Hovet, 1988. 2. Fersling, Poul. Naturligt övernaturligt. Bokförlaget Forum AB, Stockholm, 1989. 3. Sheila, Drs and Gibson, Robin. Homeopathy for Everyone. Penguin Books, Middlesex, England, 1987. 4. Ruus, Gunvor. Homeopati. Sykepleien fag nr 6 1992, organ for Norsk Sykepleierforbund, Oslo, 1992. 5. Vithoulkas, George. Homeopathy, Medicine for the New Man. Thorsons Publishers Limited, Northamptonshire, England, 1985.